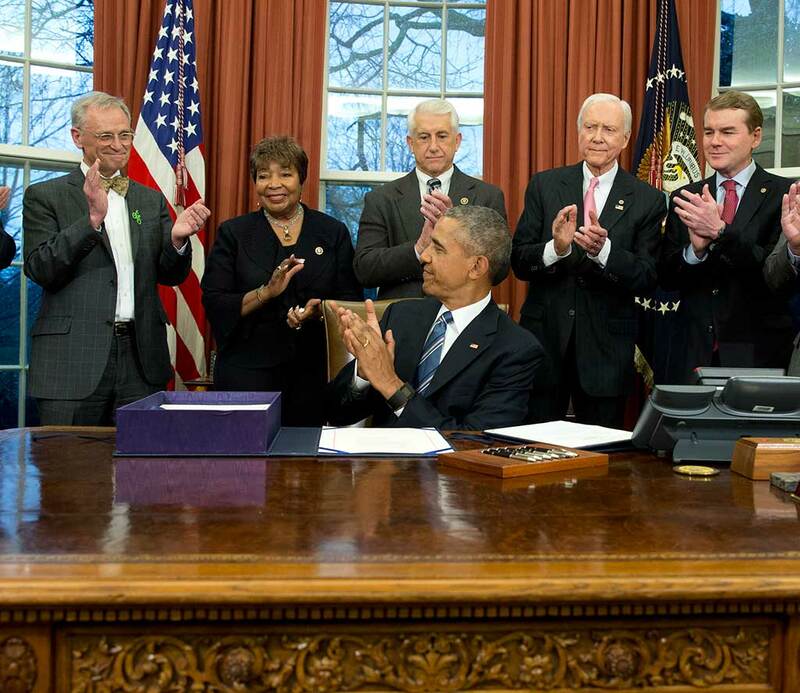 President Barack Obama, joined by from left, Gil Kerlikowske, Commissioner of U.S. Customs and Border Protection, Rep. Earl Blumenauer, D-Org., Rep. Eddie Johnson, D-Texas., Rep. David Reichert, R-Wash., Sen. Orrin Hatch, R-Utah, Sen. Michael Bennet, D-Col., Rep. Ron Kind., D-Wisc., applauds after signing House Resolution 644, the Trade Facilitation and Trade Enforcement Act of 2015, in the Oval Office of the White House, in Washington, Wednesday, Feb. 24, 2016. “This law slams shut an unconscionable and archaic loophole that forced America to accept products made by children or slave labor,” said Sen. Ron Wyden, an Oregon Democrat who worked on the legislation. The Tariff Act of 1930, which gave Customs and Border Protection the authority to seize shipments where forced labor was suspected and block further imports, was last used in 2000, and has been used only 39 times all together largely because of two words: “consumptive demand” — if there was not sufficient supply to meet domestic demand, imports were allowed regardless of how they were produced. 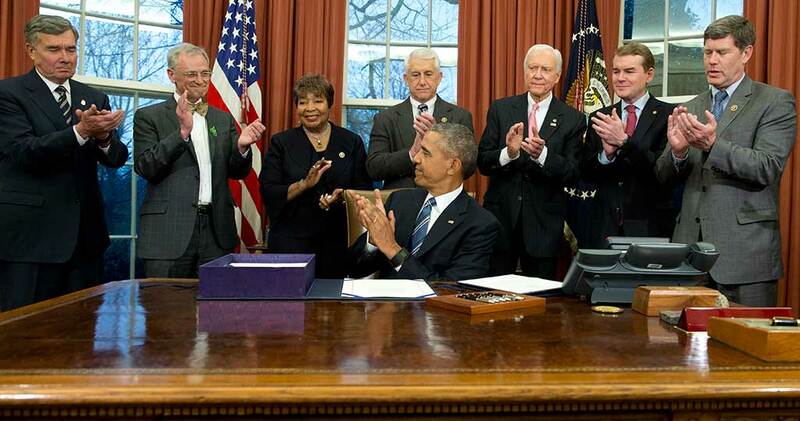 President Barack Obama, joined by from left, Rep. Earl Blumenauer, D-Org., Rep. Eddie Johnson, D-Texas., Rep. David Reichert, R-Wash., and Sen. Orrin Hatch, R-Utah, signs House Resolution 644, the Trade Facilitation and Trade Enforcement Act of 2015, in the Oval Office of the White House, in Washington, Wednesday, Feb. 24, 2016. 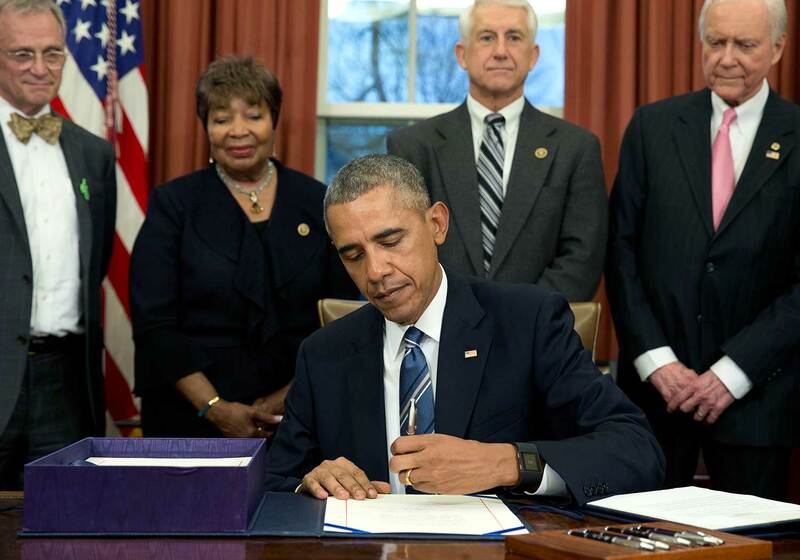 The bill included a provision banning U.S. imports of goods produced by abusive labor practices, including fish caught by slaves in Southeast Asia, closing a loophole in an 85-year-old tariff law that failed to keep products of forced labor and child labor out of America. 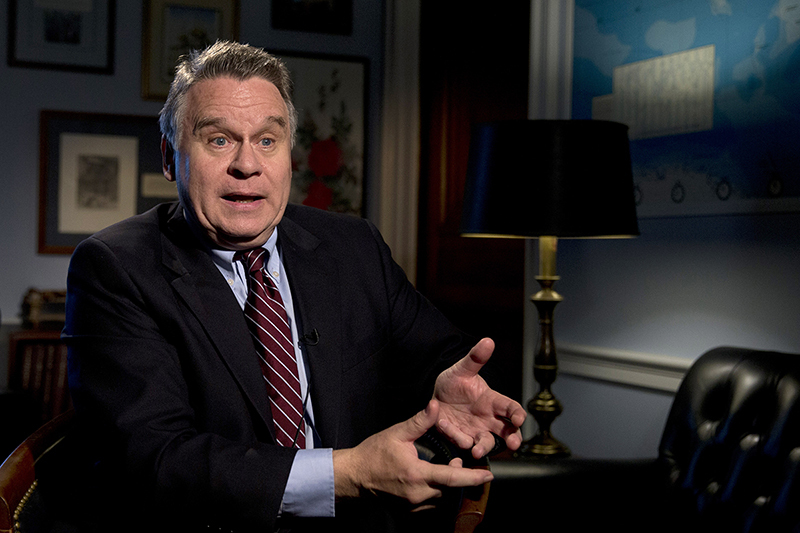 Rep. Chris Smith, R-N.J., speaks with an Associated Press reporter in his office on Capitol Hill in Washington, Nov. 20, 2015. Human rights activists and U.S. officials, including Smith, called on Americans to stop buying fish and shrimp tied to supply chains in Thailand, where The Associated Press has found slaves are forced to work in the seafood industry. “If the U.S. government works to really keep out goods made with forced labor, this change will have a profound ripple effect on supply chains worldwide,” said David Abramowitz, who advocated for the change as vice president for Humanity United. To start an investigation, Customs needs to receive a petition from anyone — a business, an agency, even a non-citizen — showing “reasonably but not conclusively” that imports were made at least in part with forced labor. A of more than 350 goods produced by child labor or forced labor provides a detailed breakdown that human rights groups plan to use as they petition the government to take action. These include peanuts from Turkey, gold from Ghana, carpets from India and fish and shrimp from Thailand. 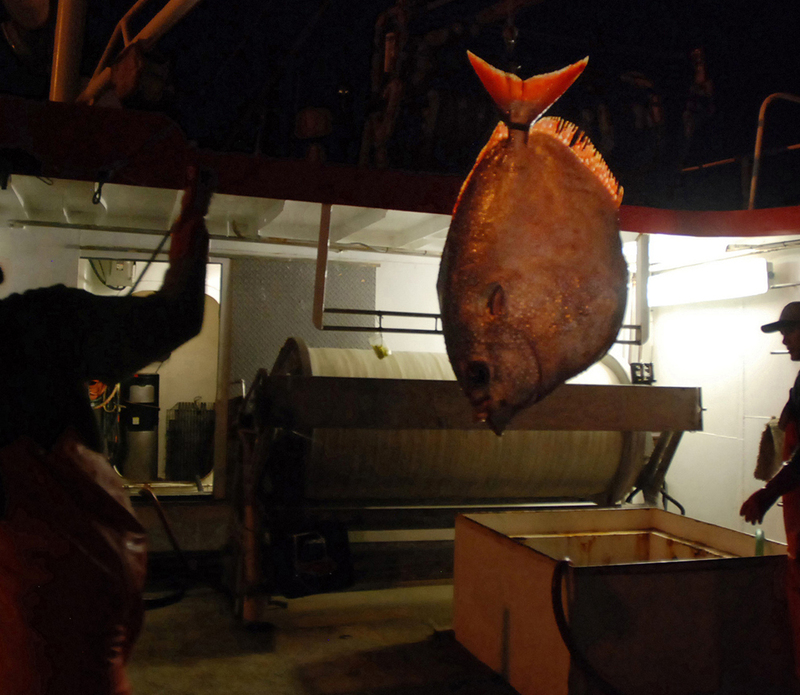 Last year found Thai companies ship seafood to the U.S. that was caught and processed by trapped and enslaved workers. As a result of the reports, more than 2,000 trapped fishermen have been rescued, more than a dozen alleged traffickers arrested and millions of dollars' worth of seafood and vessels seized.